If interested you can find information here. 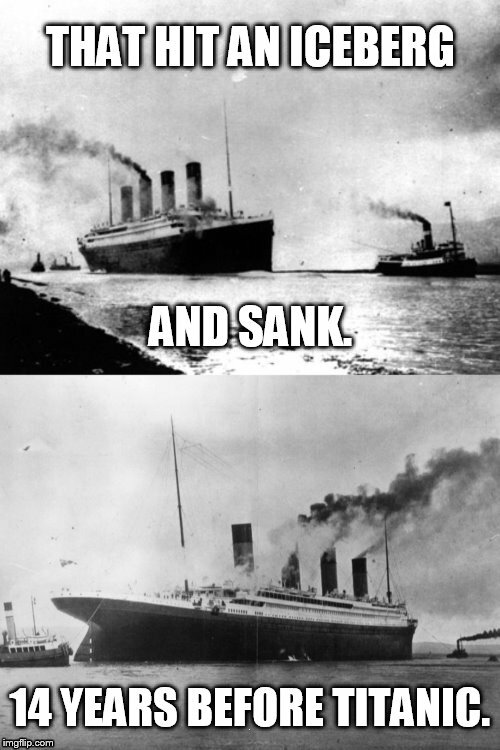 THAT HIT AN ICEBERG; AND SANK. 14 YEARS BEFORE TITANIC.